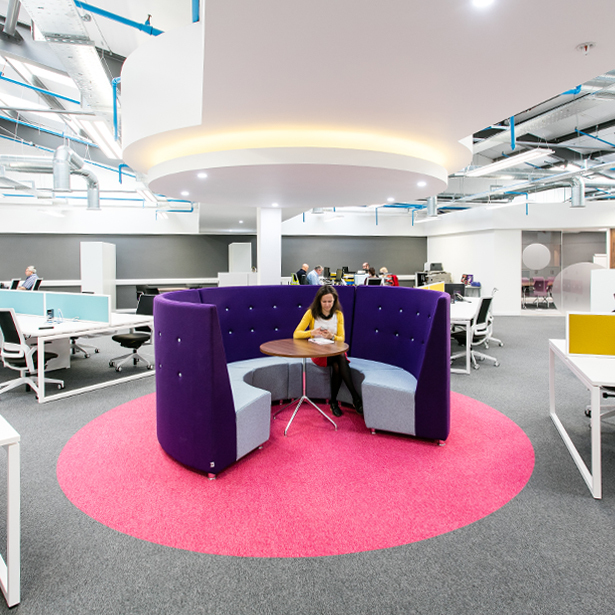 A leading book publisher with 3,000 staff in seven countries, CPI Books is a vibrant and growing business with a strong sense of employee community. 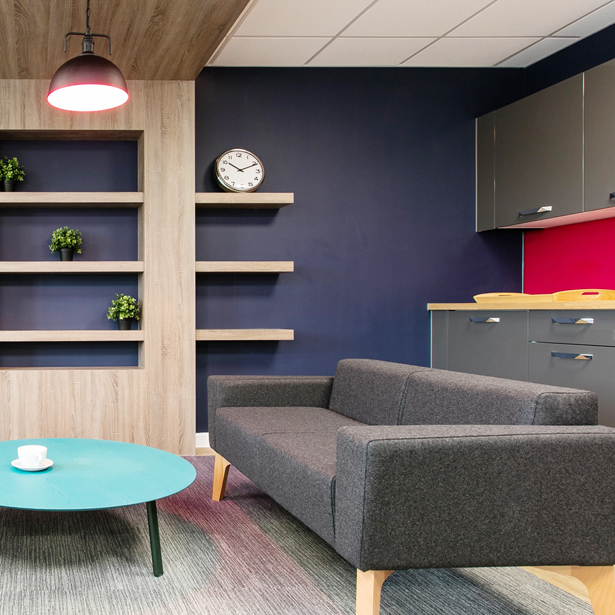 After outgrowing its office in Chippenham, one of 5 bases across the UK, the company worked with Interaction to revamp an unused facility in Melksham to provide employees with a fresh workspace inspiring a genuine ‘wow’ factor. 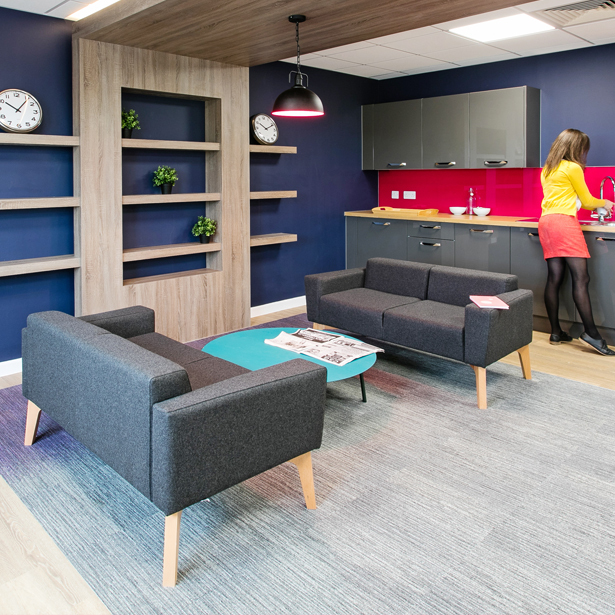 Key to the fit out scheme was the creation of a cosy yet professional atmosphere that would feel welcoming to both staff and clients. 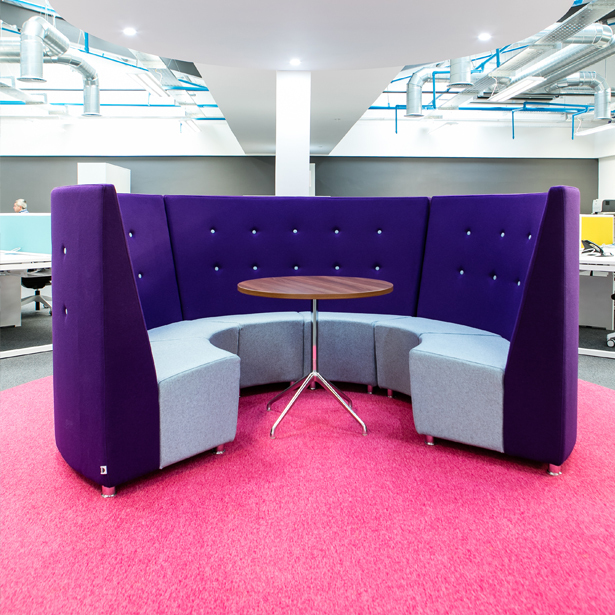 This was achieved through the use of bright, warm colours in the decorative finishes, and the careful use of furniture, including Erik sofas and a vibrant Fuse circular pod to shape snug breakout spaces.